We are a well-known manufacturer, exporter and supplier of a vast array of Handmade Wool Carpet (Black Beige). 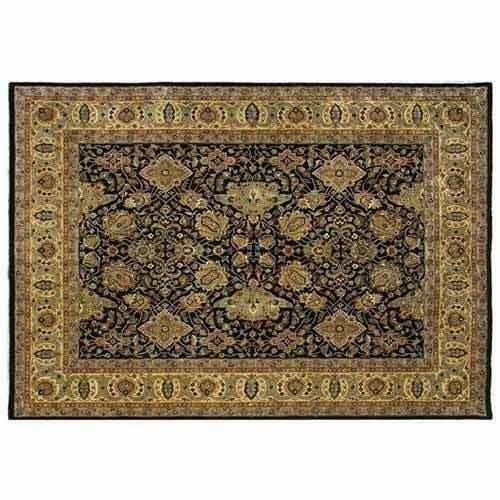 These carpets are designed using superior grade wool and are decorated with vibrant hues and ideal artwork. With their attractive appearance, these carpets embellish the look of floors of homes, restaurants and offices. Our offered carpets can be availed in different sizes, designs, colors and patterns as per the diverse needs of our customers. Provided carpets are acclaimed due to their colorfastness and elevated durability. We are mainly looking International queries from USA, Europe, Canada, Middle East and Germany. With years of experience and consistent innovation, we are committed to providing the richness of quality and uniqueness to its customers. At Udai Exports, we understand that every space is special and lives hundreds of stories within it. To keep these stories alive, we are bound to weave the carpets that reflect the souls of creation, elegance, and affection of our customers worldwide. At Udai Exports, carpets are manufactured and exported not as any other job done; but aims to deliver a high-end satisfaction to its customers who believe in top-notch quality. We deal with wide range of Handmade Silk carpets, hand knotted carpets, woolen carpets, woolen silk carpets, Oushak, Herati, Mahi, Gabbeh, Moroccon, Serapi, Sari Silk and Modern Design Carpets & rugs A highly enthusiastic and creative team of Udai Exports consists experienced and skilled artisans determined to craft imagination. Sourcing proper materials, using creative designs, proper detailing, and quality weaving with proper delivery checks are made to make your wish true perfectly, the way you ever imagined. Our products hold the certification from Crisil Trust Seal promising the customers reliability at all terms. With a dream to provide the art lovers a treat of Jaipur and Bhadohi (Carpet City of India), , Quality Rugs and Carpets, We are connecting with buyers around the world. United States of America, Canada, and Europe are among the top 3 market regions that witness the richness of art and legacy. Keeping the Global outlook, we welcome customized artworks and design patterns to prevail magic of your memories and thoughts.